Style and practicality wrapped in a contemporary design. Part of the Time Living Exclusive range, the Atlanta features a sprung slatted base and spacious wheel mounted drawer, a stylish space saver! 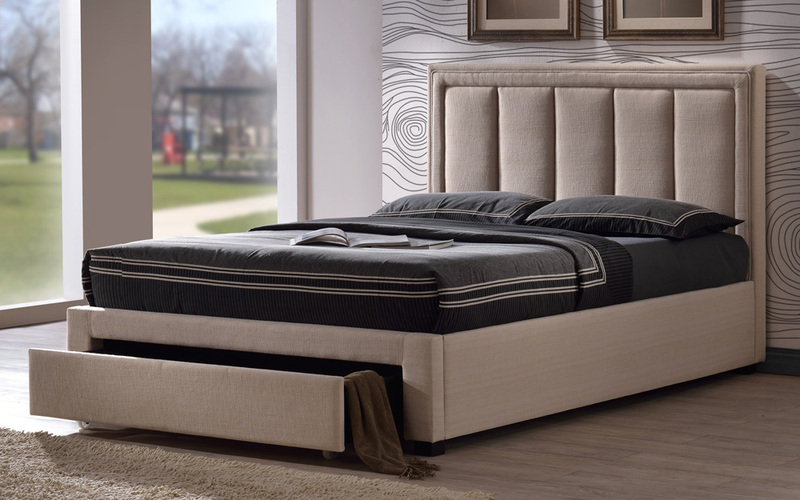 Available in grey or sand finishes, this is a beautiful bed fit for any bedroom.